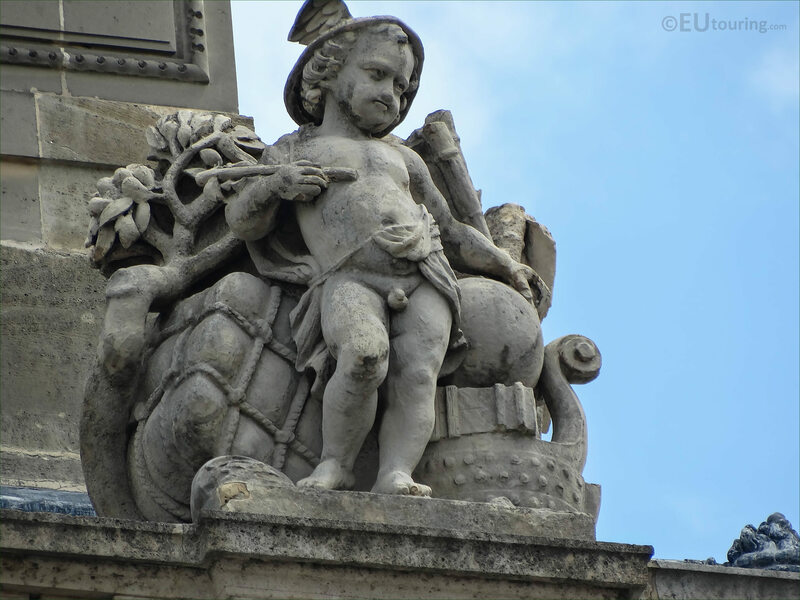 While at the Musee du Louvre in the 1st Arrondissement of Paris, we took these high definition photos that show a statue called Le Commerce, which was sculpted by Francois Trupheme. 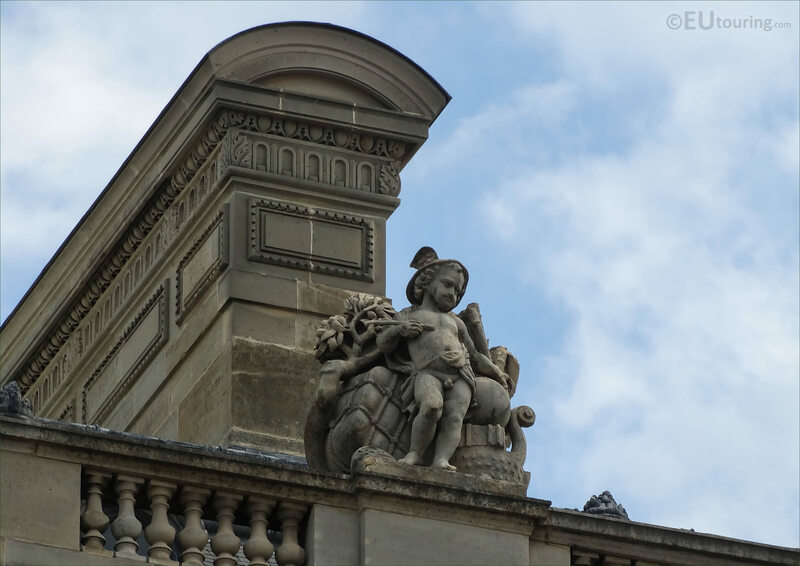 This first HD photo shows the allegorical statue called Commerce, which is located on the third level balustrade of the Pavillon de Rohan, and this is a wing of the former Palais du Louvre that can be seen from the courtyard called the Cour du Carrousel. 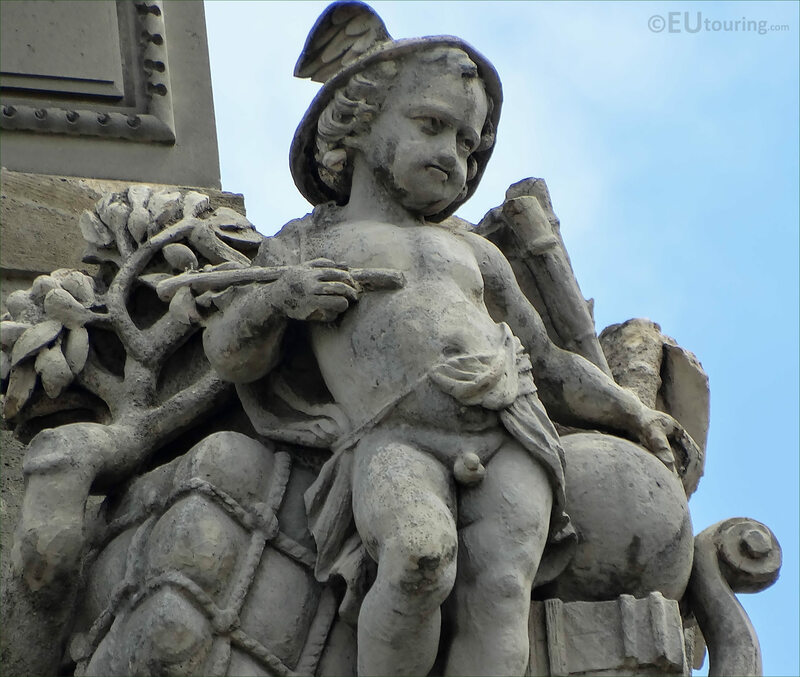 Here you can see a close up of Le Commerce statue, which is positioned by a chimney and is the statue located to the right hand side of the pavilion, and you can see the detailing that went into this sculpture by Andre Francois Joseph Trupheme, who was just known as Francois Trupheme. Now Francois Trupheme was born in Aix-en-Provence within the Provence-Alpes Cote d'Azur region of France in 1820, and studying to become a French sculptor at the Ecole des Beaux Arts in Paris, he exhibited at the Salons for French artists from 1850 right through to when he passed away in Paris in 1888. Francois Trupheme received several commissions for statues and sculptures to adorn public monuments and tourist attractions, which included The Louvre and the Palais Garnier in Paris. However, many of his works can be seen within the region where he was born like in Marseille, but there are also many museums throughout France that also hold his works.